We specialise in cake pops, and are one of the very first cake pop artisans in Sydney. We have crafted specially designed cake pops for many events throughout Sydney, and for many well-loved brands. Cake pops make great bomboniere or favours at weddings and special occasions. Cookies are perfect gifts for special occasions and look great on the buffet table. From hand piped royal icing cookies to fondant cookies cut with precision, our cookies provide the wow factor. 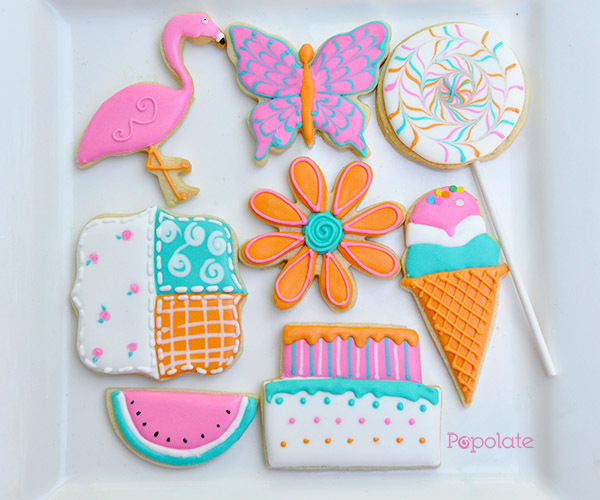 What’s more, with our custom services, we stretch the boundaries on what you can do with a decorated cookie! Our cookies are individually packaged in a heat sealed bag to retain freshness. Cake pops or cookies make wonderful thank you gifts. We can make them in any size and shape and image for a brand impact that will be remembered. Our logo cookies or logo cake pops can reproduce your logo in high quality prints, with matching treat colours. Treats can be packaged in a variety of options, from individual boxes to matching ribbons. Macarons are a work of art in itself. We can provide options for packaging. Have your cupcake in the colour and decorations of your choice! Cupcakes can also be adorned with logo toppers for that corporate function.